Ecuador has over 500 documented plant species that are used for their medicinal properties, the knowledge of these plants and use in traditional healing is an example of how knowledge has been transferred between people in Ecuador and continues to be an everyday ritual for many Ecuadorians. Ecuador is a unique country in that it has three main geographical regions, the Oriente (Amazon), the Sierra (Highlands) and the Costa (Pacific coast), nowadays, medicinal plant knowledge and its use is concentrated to the Oriente where there is a plethora of native flora as well as the Sierra region. In the coastal region however the tradition is becoming lost. Each region has endured different pressures that have impacted on the transference of medicinal plant knowledge; these include colonisation, immigration and capitalism as well as a reliance on western medicine. The handing down and handing on of such knowledge equates to a richly preserved indigenous culture and at the same time a lack of knowledge suggests how the tradition has been lost and commentates on the status of culture itself. The Amazonian people of Ecuador have, for the most part preserved their culture even against the occupation of the Spanish and more recently, Christian missionaries and international petrol companies. The Amazonian people have their own tribal cultures, languages and traditions that differ from the other regions of Ecuador but most significantly the Amazon is the environment home to the most number of plants used for medicinal healing. The knowledge of how to use these plants is passed down through community shamans. The Shuar people of the Amazon have a shaman called an Uwishint and each must choose an apprentice that will precede him, learn from him, hand on the knowledge of the jungle and continue the tradition of plant healing into the future. The current shaman chooses a new Uwishint through conducting a series of agility and mental tests for young boys in their community. Knowledge of plants and their uses is at the heart of an Uwishint’s teachings and whilst in 2017 the tradition continues in some communities there are many pressures of the modern world that could change this or put an end to the tradition. Moving further west to the highlands just a short from where I live there is a street seller with a trolley full of aguas medicinales (“medicinal waters”) he and a number of others run a daily trade for the small town population. This is a common sight on street corners throughout the Sierra region and the vendors have learned the traditional knowledge for what medicinal plants can be used to help cure what aliment. The small cart is lined with bottles of colourful liquids, syrups and plant materials such as the stem of San Pedro (Aloe Vera). Depending on your aliment or condition, a concoction is mixed up rapidly and poured into small plastic bottles for customers to take with them. Faith in these natural remedies prevails and describes how a more modern understanding of medicinal plant knowledge in highland Ecuador continues. 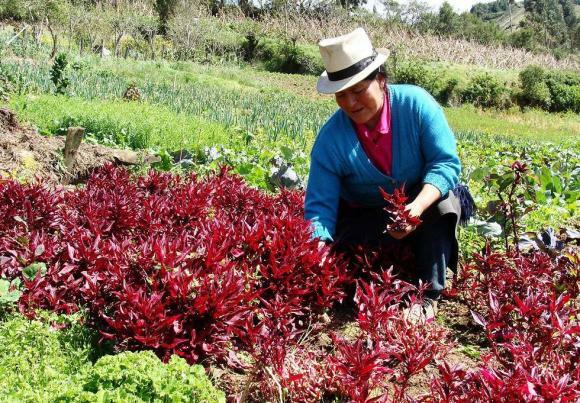 Using medicinal plants to cure or assist illnesses has spread throughout the world and so without the knowledge of local Ecuadorians we would be at a disadvantage. The use of medicinal plants remains to be an important aspect of Ecuadorian culture but it is also deteriorating. It is important that this knowledge continues to be transferred between people because it is part of the countries cultural heritage, both Ecuadorians and the international community have a part to play in improving the channels for knowledge transfer of the practice in order to keep it alive. This could be done through creating an awareness of the tradition through ecological and sustainable tourism and educational training, protection- such as saving endangered plant species and through supporting local business in their fair trade activities and practices. Below are three types of medicinal plants and their properties. Guayusa: The native Guayusa leaf grows in the Amazonian region. Dried leafs are infused to make tea. Promotes good health, a natural antioxidant, gives energy and fights fatigue. Uña de Gato: A plant indigenous to the Amazon and highland area, the stem or bark is cooked in water to create a medicine. Alleviates weakness, assists arthritis, allergies as well as number of other illnesses. Sangre de Drago: A tree grown in the Amazon, the sap is taken and used as a cream to heal cuts and wounds on the skin. Bussmann, RW and Sharon, D. (2006) Traditional medicinal plant use in Loja province, Southern Ecuador. Journal of Ethnobiology and Ethnomedicine, 44 (2). Mays, J. (2014). Coastal Ecuadorian Ethnobotany environmental preservation through cultural conservation: useful plants of Camarones, Manabí, Ecuador. Third Millennium Alliance – Jama Coaque Ecological Reserve. Pinchbeck, D. (2012). “Chapter 2”, The 2012 Collection. Penguin Books. Wayland, C. (2001). Gendering Local Knowledge: Medicinal Plant Use and Primary Health Care in the Amazon. Medical Anthropology Quarterly, 15(2), new series pp.171-188.